Welcome to Java Tutorial for Selenium Testers / Software Testers. This Java Tutorial is mainly written for the Beginners who wants to learn Java and also for the Selenium testers who are learning Java. It helps everyone who wants to learn core java from the beginning. 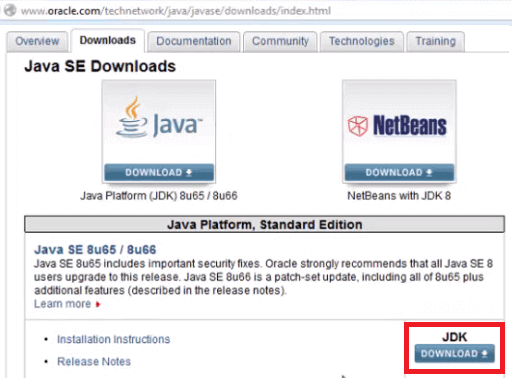 Any beginner can follow this tutorial very easily and learn core java programming. Let’s see a brief introduction to Java. Java is a high-level programming language originally developed by Sun Microsystems in 1995. Java is a platform independent language. Yes, it runs on a multiple platforms such as UNIX, Windows, Mac OS. The Java language’s programming is based on the concept of OOP. We will see this in detail in later part of this Java Tutorial. We need to understand three terminologies for sure in Java such as JDK, JRE and JVM. Here I give basic idea about these terms in the next post we will see detailed explanation. JDK stands for Java Development Kit. Using JDK, we can develop, compile and execute (run) new applications and also we can modify existing applications. We need to install JDK in developers machine where we want to develop new applications or modify existing applications. JDK includes JRE and development tools (environment to develop, debug and monitor Java programs). JRE stands for Java Runtime Environment. Using JRE, we can only execute already developed applications. We cannot develop new applications or modify existing applications. As the name suggests, JRE only provides Runtime Environment. JVM stands for Java Virtual Machine. JVM drives the java code. Using JVM, we can run java byte code by converting them into current OS machine language. 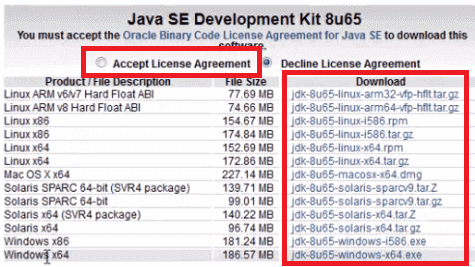 Accept the license agreement and choose the right ‘JDK’ file to download based on your system requirement. Sometimes, we may face a situation where we need to get the input from the user in runtime. We use “Scanner” class to accept input from the user. In Java, we have two types of comments. We use comments to write some text within our code. Compiler will ignore these comments. Do you want to show auto generated code whenever you create a new class as shown below. I assume, you are using Eclipse IDE. 3. Under ‘Configure generated code and comments’, Expand Comments – Select Files and Click Edit and Enter your text and Click OK. Whenever you create a new class, you can see comments. Check this link to read more. To read a text file, we use FileReader and wrap it in a BufferedReader. In the below example, we read a file named “FileToRead.txt” which is located in my local system and output the file line by line in my eclipse console. To create a new file and write text on it. We can write to a file using Java in different ways but I show you how to write text to a file using BufferedWriter. Data types in java specify the size and type of values that can be stored in an identifier. There are two types of Data Types in Java. Operators in Java are the special symbols that perform specific operations and then return a result. Following image shows you the subdivisions of Control Flow Statements in Java. The if statement is the most basic of all the control flow statements. The if statement tells our program to execute a certain section of code only if a particular test evaluates to true. An if statement inside another the statement. If the outer if condition is true then the section of code under outer if condition would execute and it goes to the inner if condition. If inner if condition is true then the section of code under inner if condition would execute. If a condition is true then the section of code under if would execute else the section of code under else would execute. The switch statement in Java is a multi branch statement. We use this in Java when we have multiple options to select. It executes particular option based on the value of an expression. Switch works with the byte, short, char, and int primitive data types. It also works with enumerated types, the String class, and a few special classes that wrap certain primitive types such as Character, Byte, Short, and Integer. The for statement in Java allows us to repeatedly loops until a particular condition is satisfied. The Enhanced For Loop is designed for iteration through Collections and Arrays. This enhanced for loop makes our loops more compact and easy to read. The while statement continually executes a block of statements while a particular condition is true. If the expression of while statement evaluates to true, then it executes the statement(s) in the while block. The while statement continues testing the expression and executing its block until the expression evaluates to false. The do-while is similar to the while loop. In do-while loop, the condition is evaluated after the execution of statements with in the do block at least once. Computer is a class name followed by the name of the reference laptop. Then there is a “new” keyword which is used to allocate memory. Finally, there is a call to constructor “Computer()”. This call initializes the new object “new Computer()”. There are three ways to overload a method. Earlier we have seen method signature. At compile time, Java knows which method to invoke by checking the method signatures. So this is called compile time polymorphism or static binding. Declaring a method in child class which is already present in the parent class is called Method Overriding. In simple words, overriding means to override the functionality of an existing method. In this case, if we call the method with child class object, then the child class method is called. To call the parent class method we have to use super keyword. Abstraction in Java is achieved using abstract classes and interfaces. Let’s see what is Abstract Class and Interface in detail. We can easily identify whether a class is an abstract class or not. A class which contains abstract keyword in its declaration then it is an Abstract Class. 2. If a class is declared abstract then it cannot be instantiated. 4. When an abstract class is subclassed, the subclass usually provides implementations for all of the abstract methods in its parent class. However, if it does not, then the subclass must also be declared abstract. In order to use an abstract method, you need to override that method in sub class. An interface in Java looks similar to a class but both the interface and class are two different concepts. An interface can have methods and variables just like the class but the methods declared in interface are by default abstract. We can achieve 100% abstraction and multiple inheritance in Java with Interface. 5. Interface extends another interface just like a Class extends another Class but a class implements an interface. 6. The class that implements interface must implement all the methods of that interface. Collection of similar type of elements is known as Array. Array in Java is an Object that holds fixed number of values of a similar data types which means an array of int will contain only integers, an array of string will contain only strings etc.. The length of an array is established when the array is created. After creation, its length is fixed. Array is a index based and its index starts from 0 which means the first element of an array is stored at 0 index. Array holds primitive types as well as object references. Using ArrayList we can overcome the size issue. ArrayList is a resizable array. Collections Framework was introduced in Java 1.2 . The Java collections framework (JCF) is a set of classes and interfaces that implement commonly reusable collection data structures. Collection framework has many different interfaces and classes. Each and every interface and class has different purpose. We can perform add, edit, delete etc., operations on group of objects as per methods and implementation of a class. Java Map is a part of collections framework. The Map interface is based on key value pair. It maps unique keys to values. The Map interface is not a subtype of the Collection interface. The Map interface acts similar to Collections but a bit different from the rest of the collection types. It can’t contain duplicate keys however duplicate values are allowed. LinkedList is a class in the Collection Framework. LinkedList class implements List and Deque interfaces. LinkedList class extends AbstractList class. Lets see some key points on LinkedList. PLZ MAKE VIDEOS ON JAVA FOR AUTOMATION TESTING. Hi Rohit, we will try to do it.